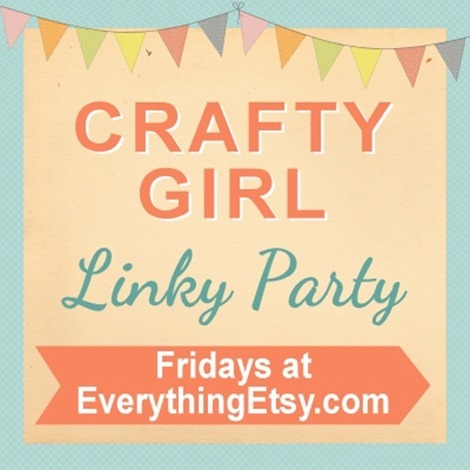 Welcome to our brand new Crafty Girl Linky Party! This is the place to share your latest crafty projects, printables, tutorials, handmade cards, trash-to-treasure home decor, or anything else you’ve created lately. 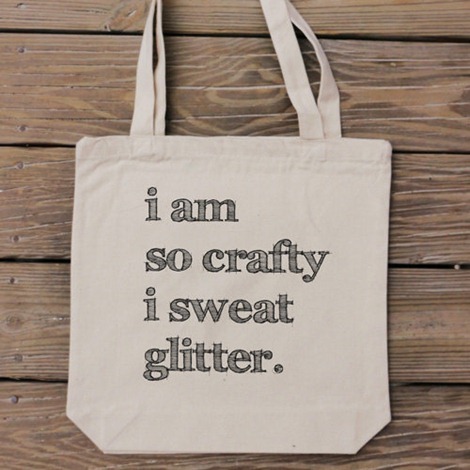 This week I’ll pick one link to win a crafty tote bag of their choice from my shop, Handmade and Craft! I also pick one winner from the comments to win a tote bag…so, share the linky party with your friends and let me know what you’re up to in the comments. 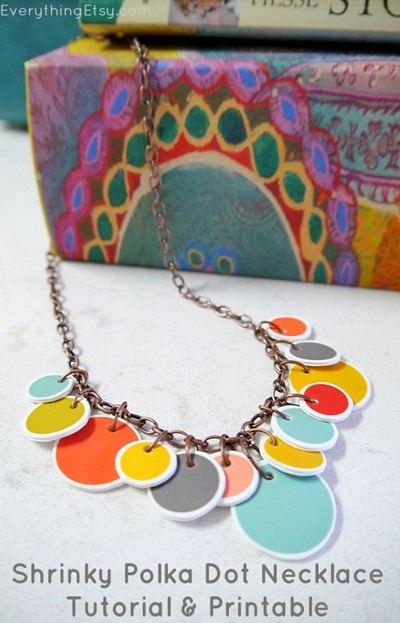 Here’s one of my latest creations…Shrinky Polka Dot Necklace Tutorial! What a great idea! Hope you don’t mind but I’m going to share this with all my crafty friends on my local Handmade Hampton Roads group page on Facebook. It is a place (kinda like this) to share, inspire, be inspired and make crafty creative connections. Locally in the Hampton Roads, VA. area! Thanks for the party! I am sharing the page via Stumble, Pinterest and Tweet! Have a good weekend! Fabulous! Thanks for this link party! I’ve stumbled and tweeted this! Once again Kim you are so supportive! Thank you for doing this! Shared on fb, twitter, and my blog! Hurray for new link parties! Just pinned your super cute necklace tutorial. Thanks for hosting! Hello, I received an email from you that made me really happy. Thank you for noticing my blog. I love your website. Keep up the good work. Well I must say you are my first link party I have joined! Not sure what to expect but it seems I am in good company. Thanks for the opportunity. I have an etsy account, I would like to participate in this new venture. 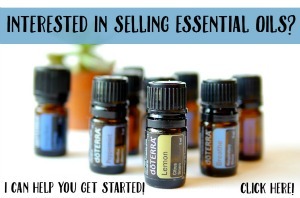 I am not quite sure how to get started. I sell tobacco sticks, they are very old, but, can be made into beautiful useful home décor. I am a new subscriber and love your posts and links. Starting a blog (to share my crafty creations) is something I really want to do, but I don’t have one yet. Since I can’t share at this time, but for the future, how often do you have your Linky parties? Yay to your new party, Kim ~ I’m so happy to be here and to link up. Have a lovely weekend! Thanks for the opportunity to share our work! I’ve posted links on FB and Twitter as well as the badge on my blog. Thank you for hosting it! So much fun and creativity. Hi Kim. Thanks for the fun Linky Party! I have shared it on my blog and Facebook. Wonderful ideas Kim! You’re always an inspiration! I’m so excited about this party, Kim! Thanks for hosting! Great idea! Just linked up and put your button on my sidebar and a link in the post! Will be back to link again when I create again! Such a cute party. So excited to be linking up. Thank you. Love the tote and looking at everyone’s projects. Such creativity makes me smile. So much fun! Will participate as often as I can. Will be posting link on my blog. Thanks so much for hosting! I’ve been looking for a crafty link party to join! what a great idea. Thank you!!!! Thanks so much for the linky party. I get such great ideas here–my Pinterest board expands every time I drop in on your “party”. What a wonderful opportunity to promote and support others! Thank you! I’ve already found some new projects to try here. I linked up and WOW…this party really drove my traffic up. Thank you so much for allowing us all to participate. As soon as I received the email notice of this party, I set to working on a tutorial blog post. I’ve never made a tutorial for one of my crochet products…what a great challenge Kim. I learned a lot thanks to you. Cool link up! thanks for hosting. I don’t have a recent project to share but have a lot of them in mind once my time opens up. Thank you for the giveaway. Thanks for hosting this craft party and I look forward to more of them! I’m new to the party! Thanks for hosting! My first linky! Thanks for hosting! Sorry I missed this week’s linky party………hopefully I’ll be better prepared for the next. Thanks for the chance I love this blog…….. Thanks for hosting this fun linky party! I will have to come up with something fun to link to. 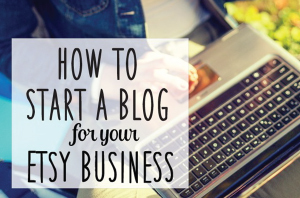 Some great ideas and new blogs to discover. Yea! Enjoy the day.